Kaylee Patrick is a 2014 graduate from the University of Georgia, where she obtained a bachelor of science degree in Dietetics. 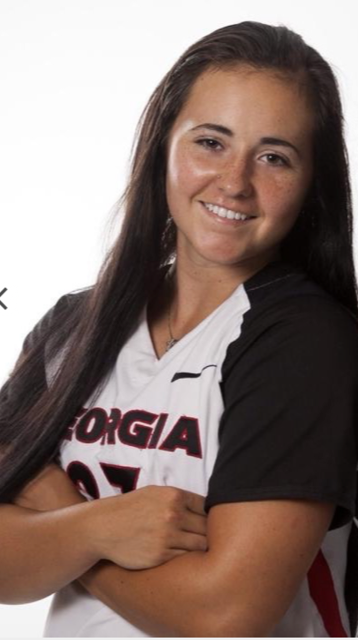 Kaylee began her collegiate softball career at Kennesaw State University and later transferred to the University of Georgia to finish out her career. Throughout her 4 years on the diamond she earned academic honors, all-freshman and 2 all-conference awards. Kaylee began coaching in 2015, helping with travel ball organizations, school ball programs and individual lessons. In 2017, Kaylee married John who is a strength and conditioning coach for the University of North Carolina at Charlotte. Having played division I collegiate softball, she has extensive knowledge in all aspects of the game. Kaylee loves to share her passion and love for the game with younger girls who have similar dreams and aspirations. Here is what Kaylee says about Tincher Pitching: “ I began my coaching career with no aspiration to give pitching lessons. Yes, I pitched through high school, but I wasn’t recruited as a pitcher. Growing up, I was always on the smaller side. Never that tall or intimidating. I remember going to my 10u coach, back when fastpitch was starting to become well known, and saying “coach I want to pitch”. He told me I wasn’t big enough. So, I started on a journey to prove him wrong. I had the desire and the athleticism to put in the work. Most of all, I believed I could be a great pitcher. So, why wasn’t I? Looking back now, after learning about Fluid Dynamics, it all starts to make sense. The way I was taught to deliver a pitch is what kept me from reaching my full potential. From day one, learning how to separate my arm from the rest of my body with wrist flips and then going on to t-drills and k’s… when it came down to it, I was told just try and throw the ball harder. I was never told why I was doing those drills, I just thought that’s what I was supposed to do. All of the bigger girls were doing them and throwing the ball faster, so why would I do anything differently?